J.C. 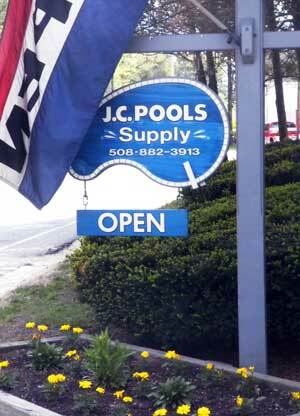 Pools is your one-stop location for all your swimming pool needs. In our retail store, we carry a full supply of pool & spa chemicals, equipment, games, parts and backyard/pool accessories. Pool or spa water not quite right? 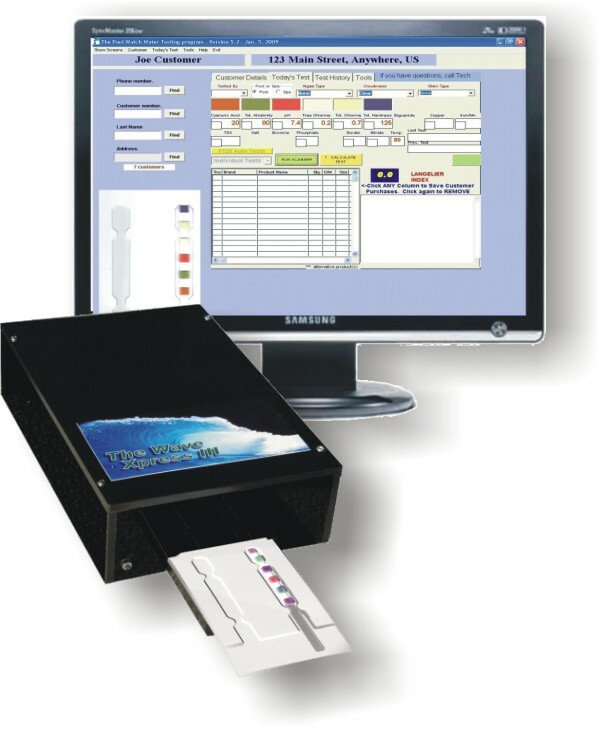 We are expert in solving water chemistry problems and we offer FREE water analysis with our computerized, pool and spa Wave Xpress water testing system. And, we can take the mystery out of pool care. 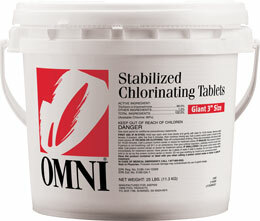 Our store stocks a full line of chemicals, sanitizers and water treatment products to keep your pool clear and inviting. And, should any water chemistry issues arise, we offer a hand picked selection of specialty treatment products for correcting any situation. 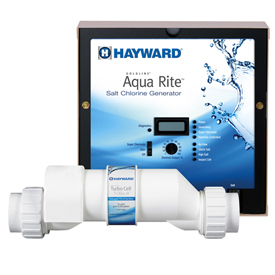 We now sell the Goldline AquaRite chlorine generator made by Hayward. 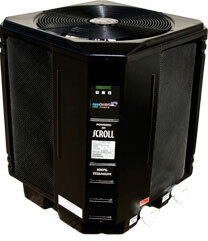 And, we sell Pentair's Rainbow Model 300 automatic chlorine feeder. See us for full details and advice on which system is best for your needs. We offer several water chemistry programs for easily maintaining clear, sparklingwater - including a low-chlorine approach with Nature2 mineral purification. One of our professionally trained staff will personalize a maintenance program that works best for you and your pool. Extend the pool season, with a heat pump from Aqua Comfort both for in-ground and above-ground pools. Quiet and easy to operate, these heat pumps are built to last and boast huge operating cost savings when compared to other heating methods. Stop by and ask us about pool heating or pick up a brochure. And for safety in the off-season, we recommend Cover LOGIX™ Safety Covers by Vyn-All. While providing a layer of safety protection, these covers are easy to maintain and aesthetically pleasing to the eye all throughout the off-season. 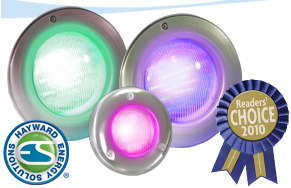 Ask us about adding lights to your pool -- both inground and above ground. Our new options from Hayward and Pentair might fit your need! Check it out! We maintain a broad supply of parts for equipment and our staff is knowledgeable and ready to help you with parts that you need. Also, while you are here, please look over our selection of pool floats, toys and games that will give kids and adults some extra enjoyment this summer season.